Even though it was India’s fourth consecutive win in the pool, it was a far from impressive display from Harendra Singh’s men against the Koreans. 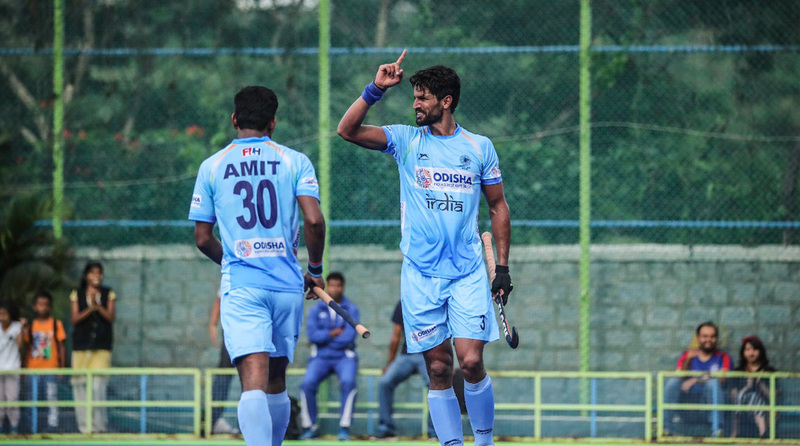 Defending champions India continued their unbeaten run and beat South Korea 5-3 in a pool match to storm into the semi-finals of the men’s hockey competition at the 18th Asian Games here on Sunday. Seconds into the second quarter, an unmarked Lalit beautifully pushed in Simranjeet Singh’s aerial ball from deep to make the scoreline 3-0 in favour of India. India’s chief coach Harendra Singh will not be a happy man with his wards’ performance, especially with the fact that they wasted five penalty corners despite having four dragflikers in the squad.